MADE IN SAN MARCOS, USA. 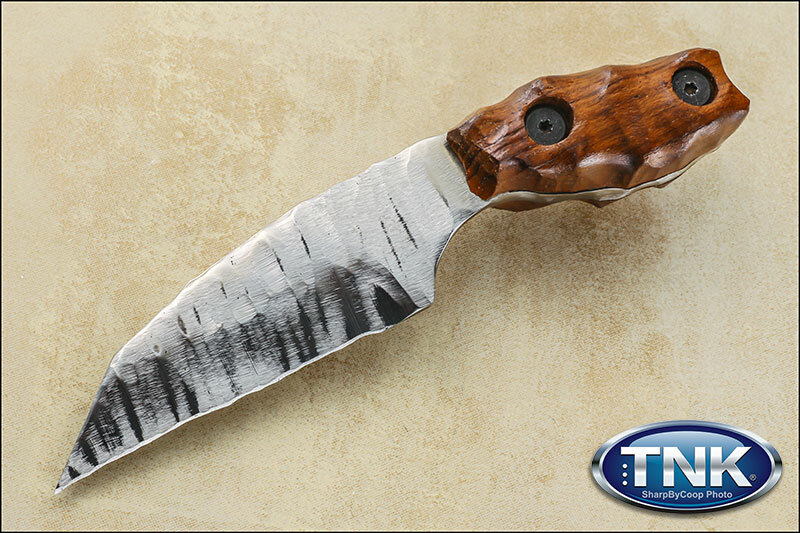 RUGGED FULL TANG CPM-154 DISTRESSED GROUND STAINLESS STEEL BLADE. WOOD HANDLE FROM AN OLD SHIP WITH BULL PIVOT ATTATCHMENTS. CUSTOM MADE DDC KYDEX NECK RIG THAT CAN ALSO BE USED FOR STATIC CARRY. Blade Length (to handle): 4.00"